Nonfarm payroll employment increased by 126,000 in March compared to gains averaging 269,000 over the prior 12 months. Although hiring numbers are low, job openings in the US were at a 14-year high in February. It is suspected that hiring numbers have decreased as a result of the US talent shortage. While the jobless rate remained at a 6-1/2-year low of 5.5 percent, the workforce shrank last month. The labor force participation rate returned to a more than 36-year low reached late last year. Employment in professional and business services trended up in March (+40,000). Job growth in the first quarter of 2015 averaged 34,000 per month in this industry, below the average monthly gain of 59,000 in 2014. Within professional and business services, employment continued to trend up in architectural and engineering services (+4,000), computer systems design and related services (+4,000), and management and technical consulting services (+4,000). 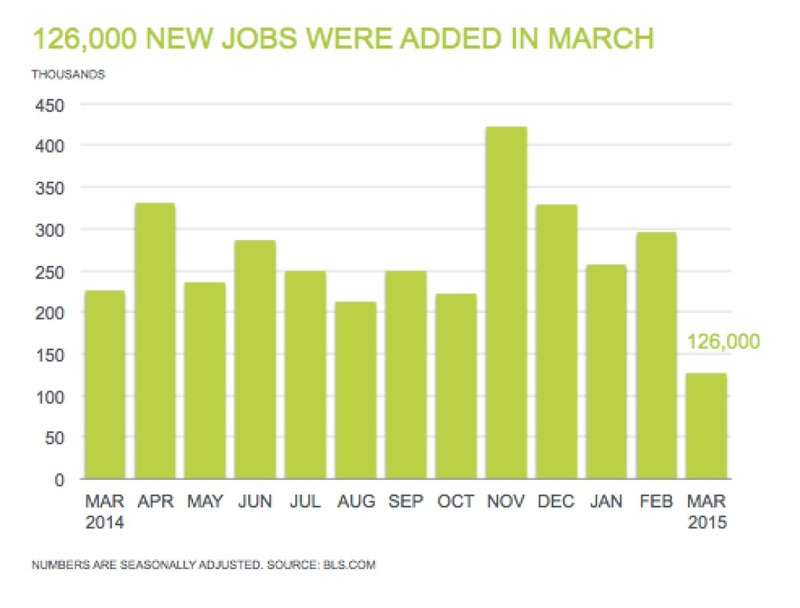 Health care continued to add jobs in March (+22,000). Over the year, health care has added 363,000 jobs. Job gains occurred in ambulatory health care services (+19,000) and hospitals (+8,000) last month. Will a talent driven market lead to higher wages? In March, average hourly earnings for all employees on private nonfarm payrolls rose by 7 cents to $24.86. Over the year, average hourly earnings have risen by 2.1 percent. Average hourly earnings of private-sector production and nonsupervisory employees rose by 4 cents to $20.86 in March. Economists suspect that his lack of talent will result in an increase in wages across all industries. With hiring numbers low and job openings high, the US jobs market is still fully driven by it’s talent. Job seekers are being more selective about making career moves, making it difficult for US companies to find the right candidates. Wages have been the most stubborn part of the economic recovery. “We interpret the combination of rising job openings and slower hiring as a potential sign of increased mismatch between the needs of employers and the skills of available workers,” said John Ryding, chief economist at RDQ Economics in New York.